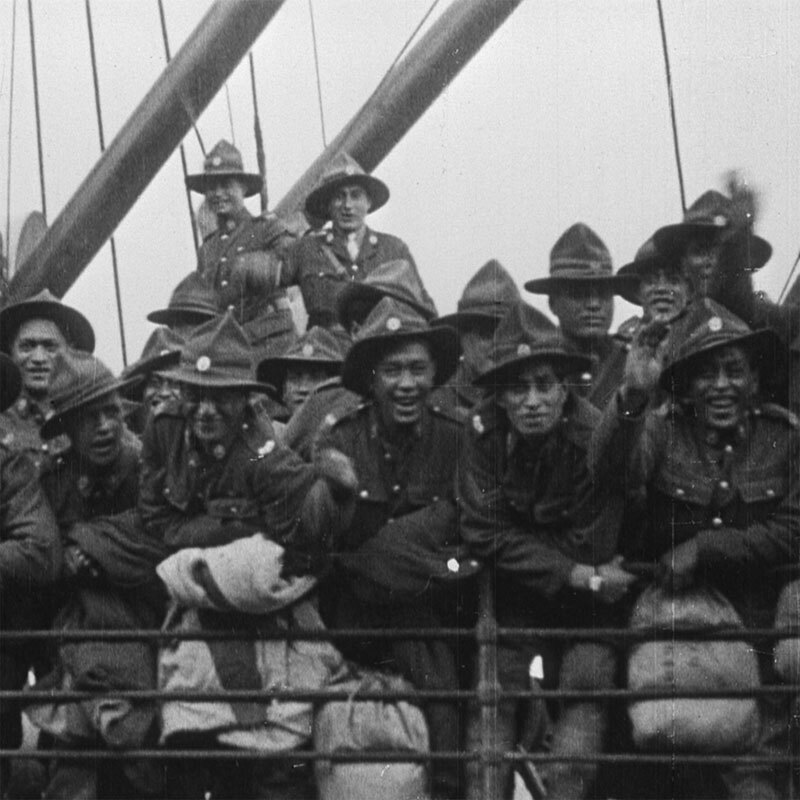 Maori Pioneer Battalion troops arriving into Auckland on the Westmoreland. Photo courtesy the National Film & Sound Archive, Australia. The New Zealand Maori (Pioneer) Battalion was the only battalion of the New Zealand Expeditionary Force to return to New Zealand as a complete unit and on 6 April 1919, thousands turned out to give its men a rousing welcome, says Dr Monty Soutar, Senior Māori Historian Manatū Taonga Ministry for Culture and Heritage. “This Saturday we commemorate the day when the men of the Pioneer Battalion returned home on the steamer Westmoreland and were welcomed by people lining the streets of Auckland and packed into the Auckland Domain,” Monty Soutar said. “Seaplanes from the Kohimarama Flying School circled over the ship and dropped messages of welcome, packets of sweets, cigarettes, and buttonholes. Flying all her flags the Westmoreland berthed at Queen’s Wharf and the steamers along the waterfront sounded their sirens. “After being met by the official party, including the acting Prime Minister Sir James Allen and Auckland Mayor Sir James Gunson, the 1000 strong group of Pioneers marched behind bands up Queen Street and across Grafton Bridge to the Domain. “Because of the roar from the cheering crowds it was impossible for the soldiers to keep in step until the leading platoons swung into the Domain and marched to their places on the cricket ground. “There an elderly man dashed out with a taiaha to begin the challenge and women gave the karanga as the marshalled tribes broke into the ancient haka powhiri Toia Mai. “When the command ‘Dismissed’ was given, joyous scenes erupted all over the makeshift marae as relatives found one another. Sadder reunions took place as soldiers hugged and wept with the families of mates who had not returned. “Welcome home parades and receptions continued throughout the country after the Pioneers separated into their tribal platoons and dispersed to their hometowns,” Monty Soutar said. Fuller details of the welcome home are integral to Dr Monty Soutar’s book – Whitiki: Maori in the First World War, being launched at the Auckland War Memorial Museum in June this year.